Anyone with a brilliant idea can open a business nowadays. But such concepts require capital that is often difficult to find. Bright business ideas are great as long as they are backed by unconventional and out of the box strategies that can ensure their success. In such a scenario, it is imminent that every business owner who desires to flourish, read books that teach and guide them on newer concepts and trends. “Some people will lie, cheat, steal and back-stab to get ahead… and to think, all they have to do is read,” America’s renowned Certified Speaking Profess Dr. Alan Zimmerman, states in his Tuesday Tips. A survey of 233 wealthy individuals in the US, conducted by Tom Corley, a financial planner revealed, celebrities including Elon Musk, Oprah Winfrey, Bill Gates and Mark Zuckerberg read daily. About 88 percent of wealthy people surveyed by Corley said they spend at least 30 minutes every day reading books. So if you are an entrepreneur and want to get ahead in business, then you must read the top business books written by renowned authors. Here are the 10 best business books for 2019 that can give you the much needed edge. I have included even best business books of all time in this list. Authored by Tim Ferriss, the Silicon Valley icon, this book is all about being healthy, wealthy and wise. The book is a heady blend of interviews with some most successful business personalities including Reid Hoffmann, co-founder, LinkedIn, actor Kevin Costner, entrepreneur and writer Seth Godin and several others, the Tools of Titans provides essential tips on practically everything from sleeping well to managing your finances for better returns. Tools of Titans has a liberal dose of life mantras and quotes from high flying tech investors including Scott Belsky and leadership advisor, Jocko Willink, among others. Briefly, the book reviews the lifestyles and principles that helped these business captains become billionaires. The book interviews some 10 women billionaires too, presenting success stories that help female readers. 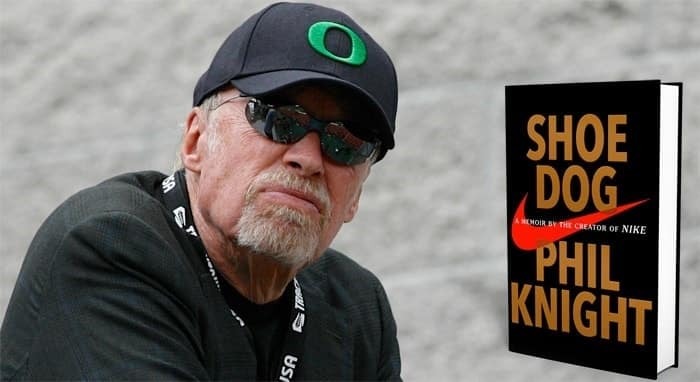 Nike’s co-founder Phil Knight revisits his dream of founding the world’s favorite brand of sportswear and jogging shoes in his memoirs, Shoe Dog. Knight takes readers through the entire journey from birth of what he bills as ‘Crazy Idea’ to the success of Nike. It provides entrepreneurs the required encouragement to think out of the box. “What if there were a way, without being an athlete, to feel what athletes feel. To play all the time instead of working? Or else enjoy work so much that it becomes essentially the same thing?” says Knight, recalling his days in 1962 as the young ‘Buck’, as he was called by his family. “…. I told myself: Let everyone call your idea crazy….Just keep going. Whatever comes, just don’t stop,” he narrates. Shoe Dogs speaks of how the ‘Crazy Idea’ and its journey from a scrap of paper to a partnership deal with Japan’s Tiger Shoe Company and the evolution of Nike. Shoe Dogs encourages aspiring businessmen and entrepreneurs to chase their dreams relentlessly. Wall Street Journal reporter Alexandra Wolfe takes on the Silicon Valley stereotypes as workaholic wunderkinds. Wolfe takes a refreshingly new look at some dropouts and successes of Peter Thiel’s fellowship. The book builds around aspirants of the Thiel Fellowship: Jonathan Burnham wants to drill meteorites, asteroids, comets and other stellar bodies for precious and rare minerals while a half-Asian, half-Caucasian girl, Laura Deming intends to extend human life while Paul Gu wants to develop new ways and means to loan money. Wolfe’s book revolves around 20 finalists of the $100,000 fellowship offered by co-founder of PayPal that asks teenagers to dump their college education in favor of entrepreneurial training. Their stories follow everything- from communal houses such as the ones where Marc Zuckerberg and his colleagues lived before Facebook became a runaway success, their personal lives and struggles. The author also highlights difficulties young entrepreneurs encounter such as their ups and downs and difficulties in getting funds for a start-up venture despite having unique, innovative ideas. 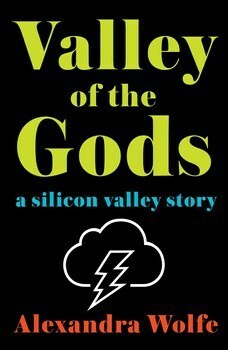 The book is not about struggles about Thiel Fellows but focuses on various dimensions of the Silicon Valley life, dreams and aspirations of teenagers and their highs and lows. 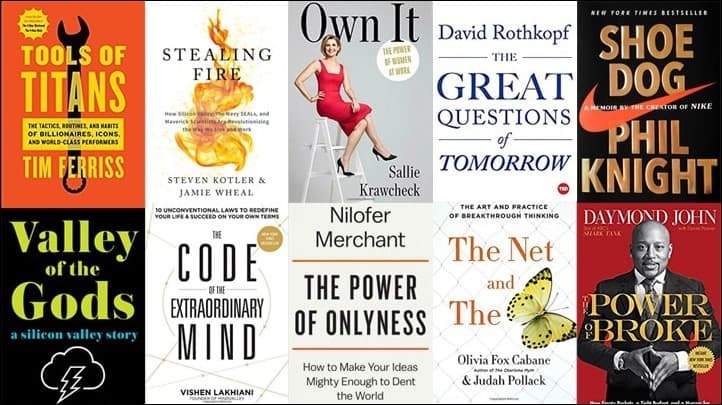 A must read business books of 2019 for both- men and women. 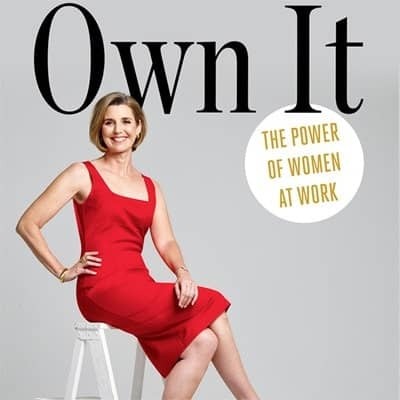 Drawing from her own experiences as a successful business and industry captain, Sallie Krawcheck highlights that women too have innate qualities to compete at par with their male counterparts and succeed. The author founded Ellevest, offering investment opportunities for women after laboring through the Wall Street echelons to hold some of the topmost positions including CEO of Smith Barney, CEO of Merrill Lynch Wealth Management and CFO of Citigroup. “Krawcheck uses research and anecdotes from her career to show that women already possess the inherent qualities and skill-sets to succeed in what she calls the fourth wave of feminism,” says Forbes.com about her book. Own It aims at what can be described as financial empowerment of women. Krawcheck is confident that given proper opportunities, women will be equal with men when it comes to entrepreneurship and wealth generation. This is a unique book and another must-have for both budding as well as existing entrepreneurs. Here, Olivia Fox Cabane partners with Judah Pollack to show readers how anyone can train their brains to get newer, breakthrough ideas. They describe the human brain as a butterfly- ubiquitous and beautiful yet erratic and elusive but highly prized. 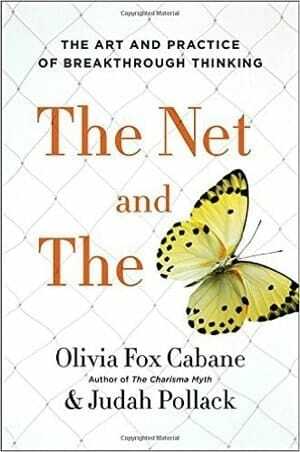 The authors aim to show readers how to ‘net’ this butterfly and channelize thoughts to become free and oriented. Thanks to their extensive experience with Silicon Valley firms, the authors unveil various easy DIY processes that help access parts of the brain that produces ground-breaking ideas while demolishing all internal blocks in the thought chain. The tactics highlighted by Cabane and Pollack vary from simple to innovative. Examples of these exercises include: Imagining an alternative universe without gravity, social and legal rules, ridding oneself of the ‘Impostor Syndrome’ through mental exercises, changing perspectives by climbing a tree, simulating the brain’s butterfly mode by watching a foreign language movie sans subtitles and others. This business book is aimed at stirring innate skills while helping the thought process reach new heights. This book is all about upgrading your life by leading the brain into rare, controversial and largely unexploited levels of consciousness. 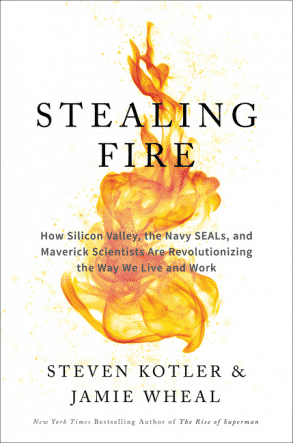 The authors Steven Kotler and Jamie Wheal teamed up for four years investigating these levels of consciousness that have helped Silicon Valley honchos such as Eric Schmidt and Elon Musk and elite military units including the Navy SEAL and Green Berets. The writers visited the home of SEAL Team-6– famed for its execution of master terrorist Osama Bin Laden. They toured the Googleplex, Burning Man Festival, Necker Island of Richard Branson and the training facilities of Red Bull, UNO headquarters and Nike Innovation Center to look into the consciousness levels of extreme performers. The book draws from four primal forces- psychology, neurobiology, pharmacology and technology to gain vital insights into some of the grey areas of human thought and how it has shaped the world as we know it. Stealing Fire is a controversial yet indubitably the most thought provoking examination of what can be achieved by tapping human consciousness. This 2019 business book can serve as a guide for everyone who wish to upgrade their life in all spheres. 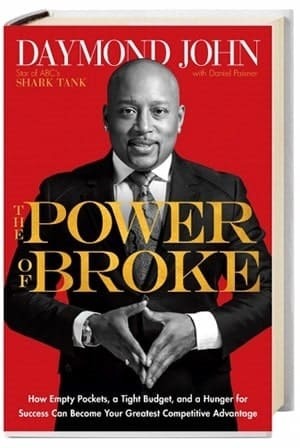 This book by Daymond John provides valuable insights, tips and guidelines about how new and existing entrepreneurs can actually capitalize their main affliction- paucity of funds- to the best of their advantage. The concept stems from his success- of turning $40 worth fabric into a million dollar brand. It provides an inspirational punch for youngsters and women who want to make a mark in entrepreneurship. The author created a major fashion label from home sewn clothes and cites examples of other ordinary people who transformed their lack of funding into a powerful tool for making a splash in the market. The Power of Broke carries a down-to-earth and realistic message for strugglers in business. The book has been authored in simple language and is largely bereft of any business jargon. In brief, it is aimed at the ordinary person. Daymond John, while writing of his own observations, intersperses his book with often heart touching entrepreneurs who took from zero. People for whom it was success or bust. It encourages prospective businesspersons by aptly pointing out how large corporate entities and financial institutions are facing monetary crunch due to ebbing of customer interest. 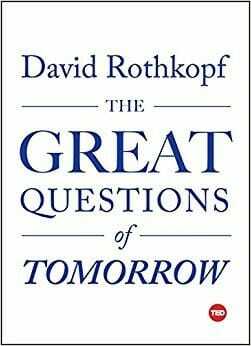 Has technology impacted our thinking patters in any manner is what author David Rothkopf tries to answer in this book. Rothkopf takes on a proverbial journey of the world. He questions whether the world will ever witness a new breed of inventors and intellectuals. He ponders about the technologies, changes in nature and life these new generation intellectuals will adapt or adopt. Rothkopf effectively demonstrates how the centre of inventions and intellect has shifted from Europe to the US, adding that Asia is the new focus. He debates how Asia and emerging world will produce transformational thinker of this century. Rothkopf attempt to answer these questions and highlighting that some of the latest ideas may emerge from hitherto unexpected areas of the world such as Africa, Asia and South America rather than the US and Europe. The author contemplates a situation where all earlier accepted notions of life stand challenged. Onlyness is a new term. 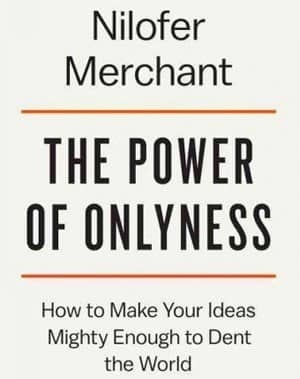 In her book, Niloufer Merchant defines uniqueness of thought as an entirely new dimension in business. She presents a debate that several people scattered around the world or a specific geographic area can come together and develop an entirely new concept for business. She suggests that only our unique skills in interaction with others come into play on social media. Such skills and ideas can collectively serve a better purpose for an improved world. Niloufer Merchant’s book also contains real life examples like Zach Wahls. As teenager, Wahls was instrumental in convincing America that gay students should also be given opportunities as Boy Scouts in a traditionally male organization. 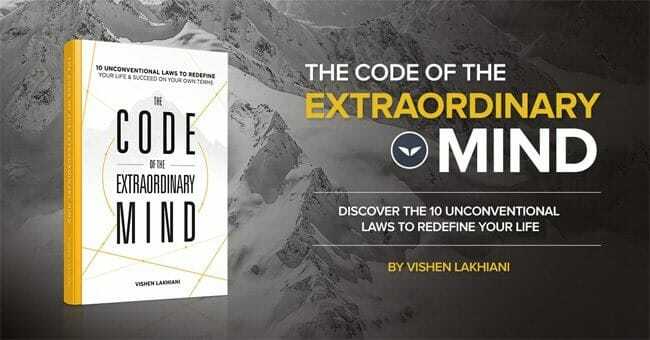 For everyone desiring to rid of the traditional shackles that contain and restrict the mind and the way we behave, The Code Of The Extraordinary Mind is an excellent business book. Lahkiani rightly says that our choices are not our own but rather are based on culture and conditioning, further strengthened by our habits. A majority of people thus live their lives by principles that stunt their growth in almost every sphere- social life, finances, family and career. We continue to practice what we inherit and this sickening trend has continued over several generations. The author boldly encourages readers to break away from self retardation and step into uncharted yet safe waters for success in business and life. Excellent books (at least the four that I read)! I was particularly impressed with the book Niloufer Merchant. Also, the essay was written by helped me a lot with the business, and it was it that pushed me to launch my startup. Now I try to maximise the use of ideas from such books for the successful management of my small company and personal development. Nice, These 10 books are amazing i really like it, power off tomorrow, too good. By the way, Thanks for the great book suggestions Sanket. These 10,books are just amazing.from where i find these book.please send me copies.